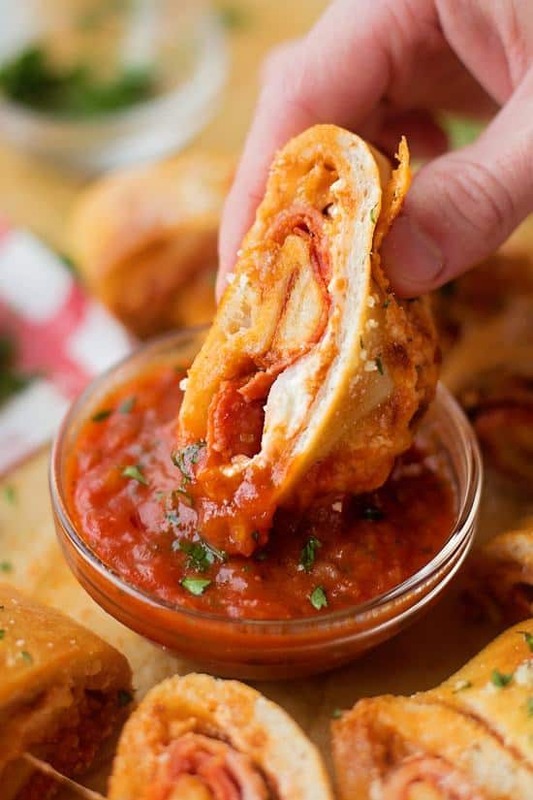 The Best Stromboli Recipes are about to change your life! You will not believe how beyond delicious these savory turnovers are! 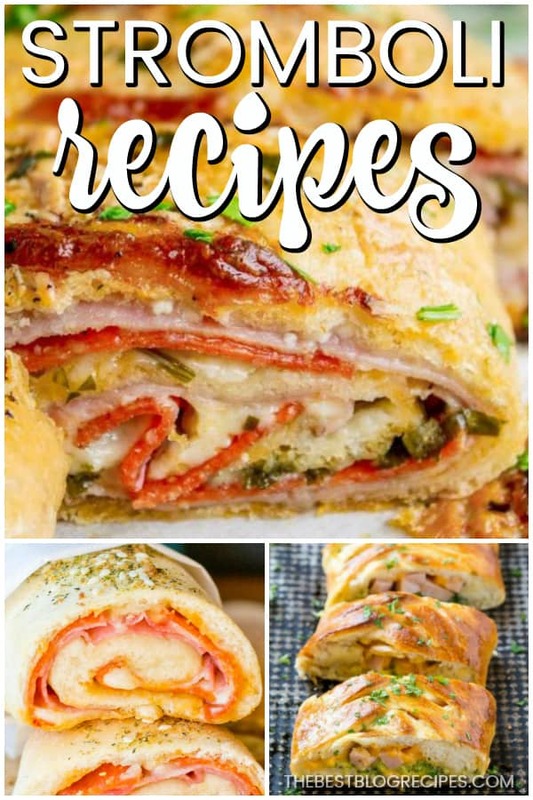 You are going to completely adore the flavors that are piled in to these amazing stromboli recipes! Get ready for your family to have some new favorite lunches and dinners. First of all, I don’t know about you, but I am always looking for easy to make dinners that still have amazing flavor. Stromboli is an excellent dinner to add to your weeknight rotation! Your friends and family will be huge fans on these recipes. Sometime when I eat stromboli, I feel like I am eating an amazing pizza sandwich. Who doesn’t love that? Making Stromboli is super easy. 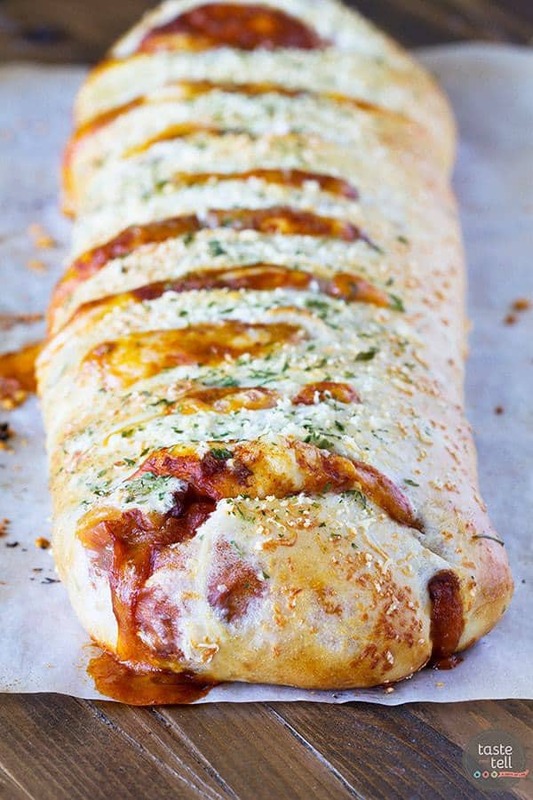 You would be surprised on how simple to make the Best Stromboli Recipes are. Throw together these recipes on nights where you don’t have a lot of time or a lot of energy! 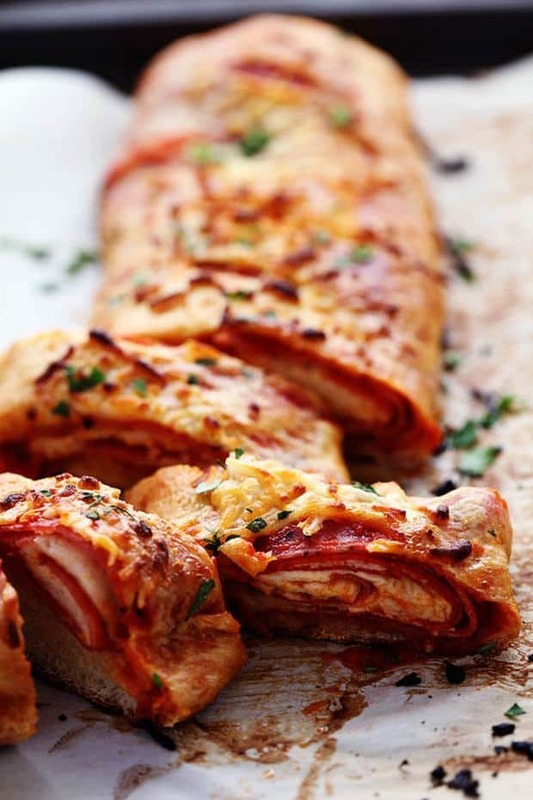 All you need to do is roll up some ingredients in some dough, and you have an amazing stromboli recipe that the entire family will love! 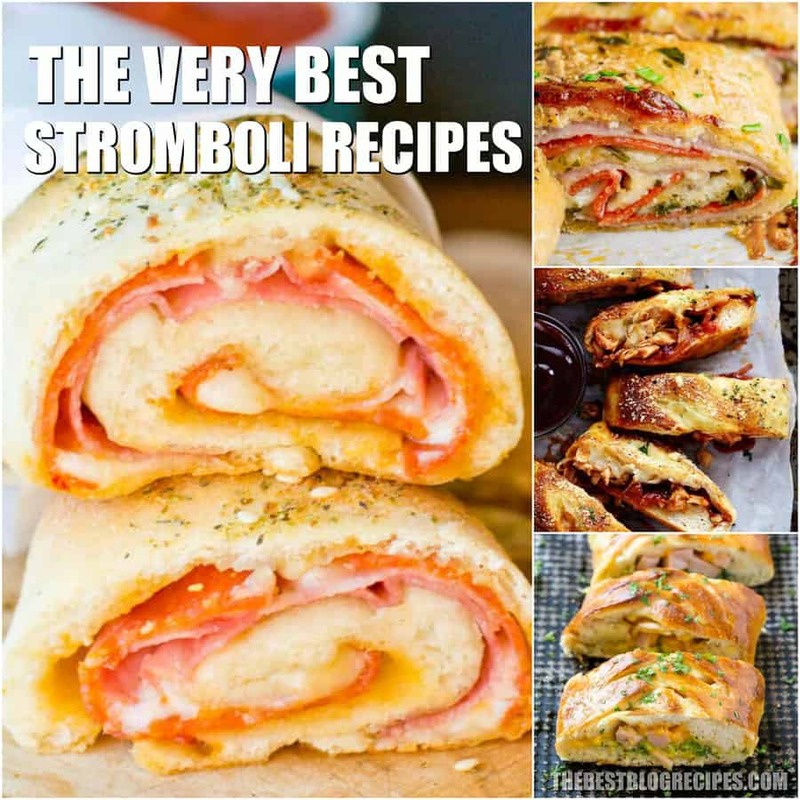 Enjoy the Best Stromboli Recipes! We sure do around here. Your only problem will be deciding which stromboli recipe to make first. 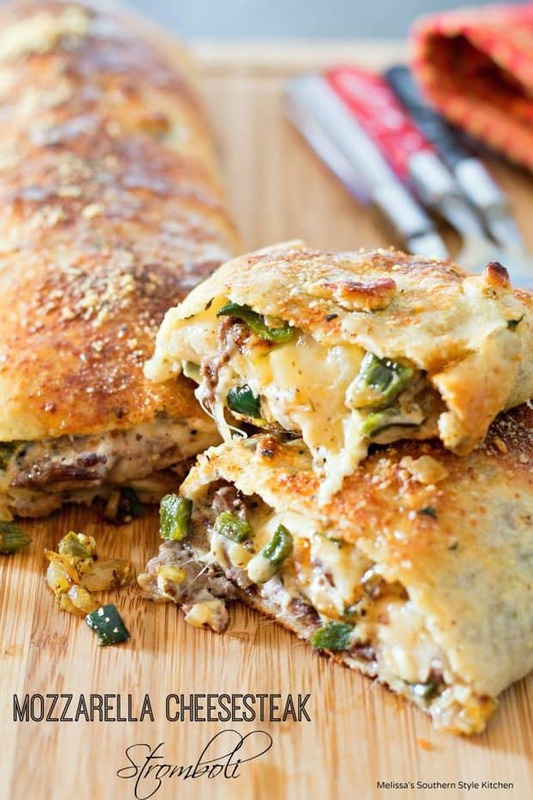 From Melissa’s Southern Style Kitchen :: Click HERE for the RECIPE This scrumptious gooey family-style mozzarella cheesesteak stromboli makes the perfect budget friendly meal. Stretch leftover grilled streak into a meal to feed a family of 4 in about 30 minutes. 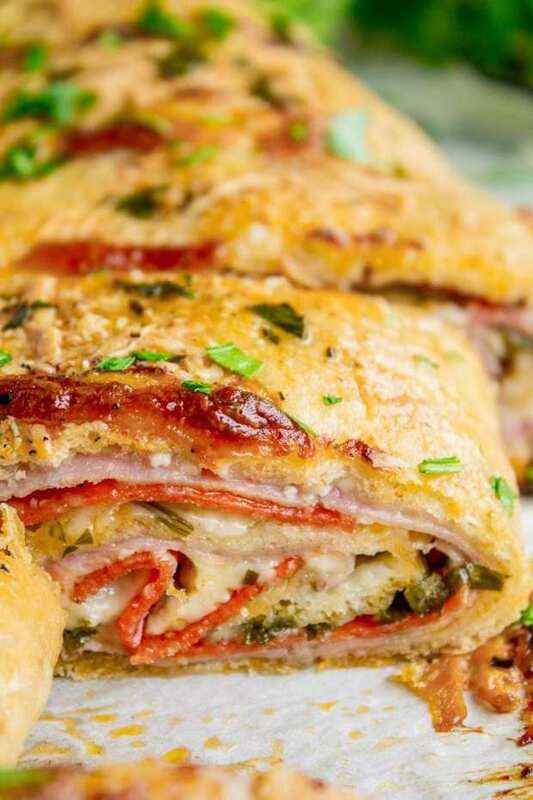 From The Recipe Critic :: Click HERE for the RECIPE Quick and Easy Stromboli gets loaded with italian salami, pepperoni, pizza sauce and cheese! This is so quick, easy and delicious you will want to make it again and again!! 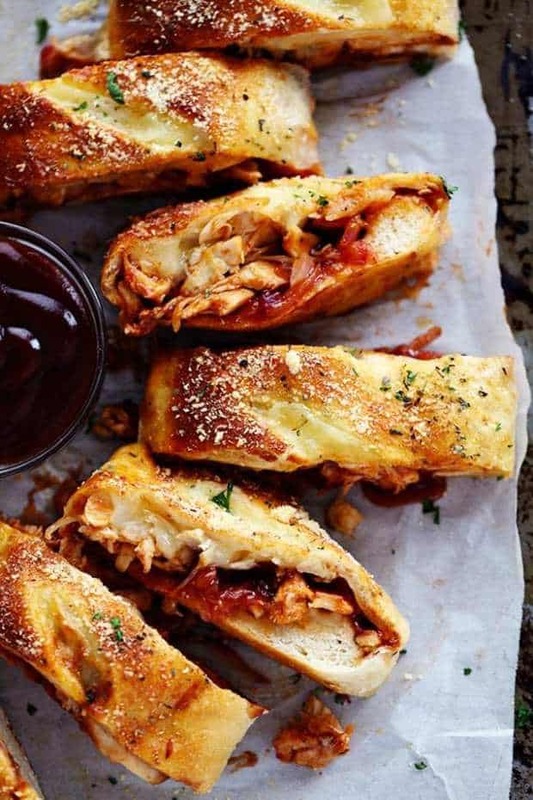 From The Recipe Critic :: Click HERE for the RECIPE BBQ Chicken Stromboli is full of melty provolone cheese, chicken, caramelized red onions and sweet and tangy bbq sauce. This makes an amazing quick and easy meal or appetizer! 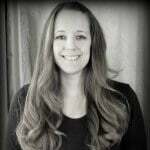 From The Food Charlatan :: Click HERE for the RECIPE Stromboli is basically pizza that’s been rolled up like a cinnamon roll. The classic ingredients include mozzarella, ham, and salami. I threw in some pepperoni and pepper jack cheese just for fun. It’s so good dipped in marinara! Perfect quick dinner (that kids love) or appetizer for football-watching. From Taste and Tell :: Click HERE for the RECIPE Change up your pizza routine with this Chili Cheese Stromboli! From Tastes of Lizzy T :: Click HERE for the RECIPE Three meats, one cheese and a spicy herb topping make up this Monster Stromboli. It uses a shortcut pizza dough and will satisfy your family’s appetites. 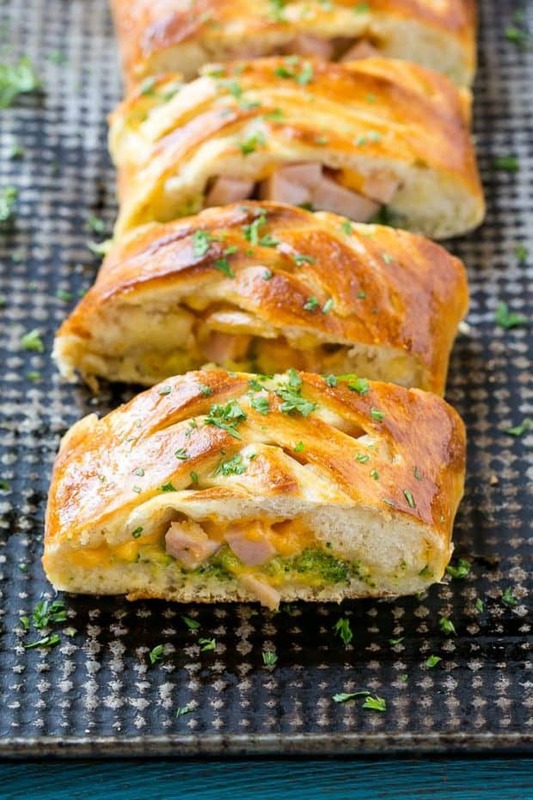 From Dinner at the Zoo :: Click HERE for the RECIPE This easy stromboli recipe is tender dough stuffed ham, cheese and broccoli, then baked to a golden brown. It’s a 5 ingredient dinner that’s ready in just 30 minutes! 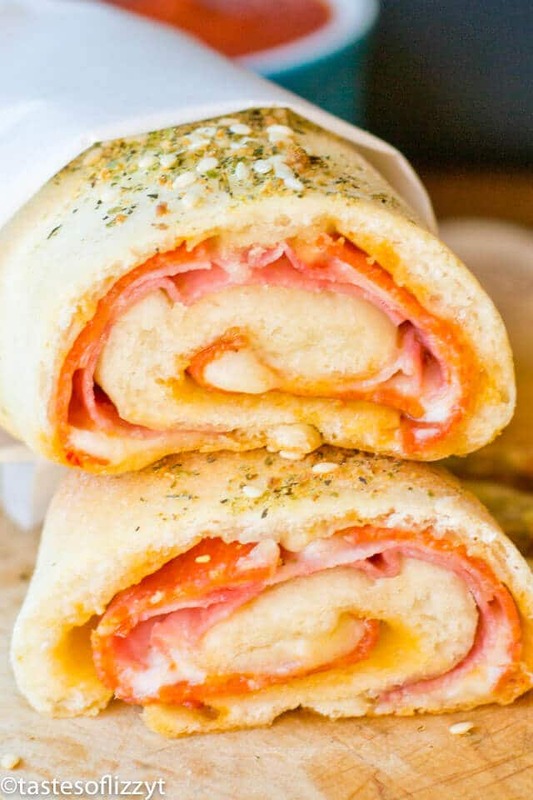 From Life Made Simple Bakes :: Click HERE for the RECIPE This pepperoni, ham and ricotta stromboli is easy and delicious! It’s perfect for a quick dinner or a game day appetizer! 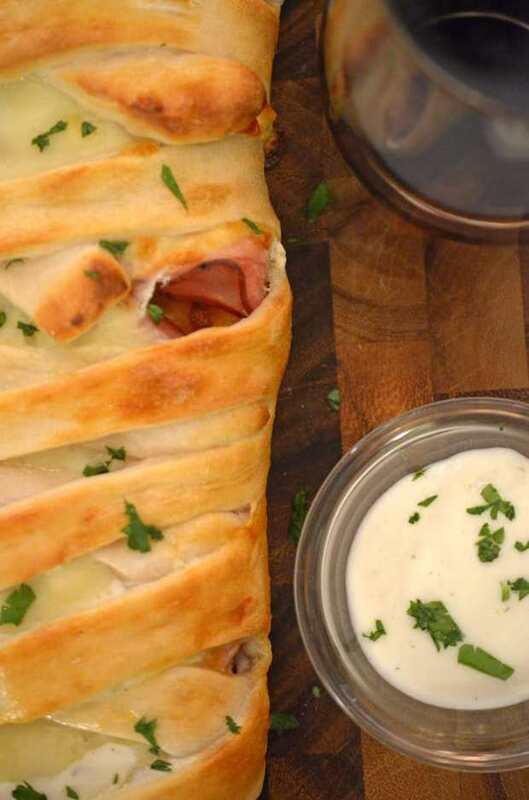 From Platter Talk :: Click HERE for the RECIPE Fast and easy to put together, you’ll amaze everyone with this Crispy Chicken Cordon Bleu Stromboli recipe, including yourself.